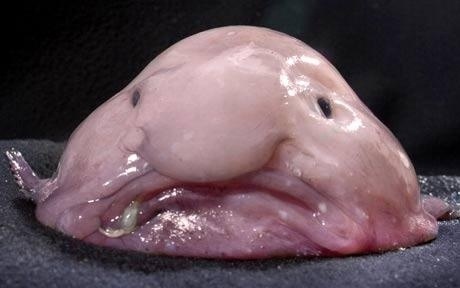 This is a Blobfish…definitely the saddest looking fish in the ocean ): But no wander…He is facing extinction. Scientists fear the Blobfish is in danger of being wiped out by over-fishing in its South Eastern Australian habitat. The fish, which lives at depths of up to 800m, is rarely seen by humans but it lives at the same depths as other ocean organisms, such as crabs and lobsters and other edible sea creatures. As a result the fish, which is inedible, is being dragged up with other catches by trawler fishermen. Marine expert Professor Callum Roberts, from University of York, said the blobfish had plenty to be miserable about.